When: Saturday, March 30 from 9:30 a.m. to 1:15 p.m.
Where: The southern parking lot of the BB&T University Center, located at 2400 Reynolda Road. What: The student-run Wake Forest Emergency Medical Service (EMS) team will participate in a mass casualty drill to provide hands-on scenario training in the event of a serious emergency or on-campus emergency. This volunteer team has been serving Wake Forest University since 1996. In a highly visual event, the student volunteers will be dispatched to a simulated incident at the BB&T University Center southern parking lot. The team will practice how to call for additional resources to assist with the incident. The student EMTs will be unaware of what the incident is until the training occurs and will conduct themselves as if the mass casualty incident has actually happened, in keeping with how local and state emergency services train. Approximately 15 ‘patients’ with varying degrees of simulated injuries will be part of the drill. 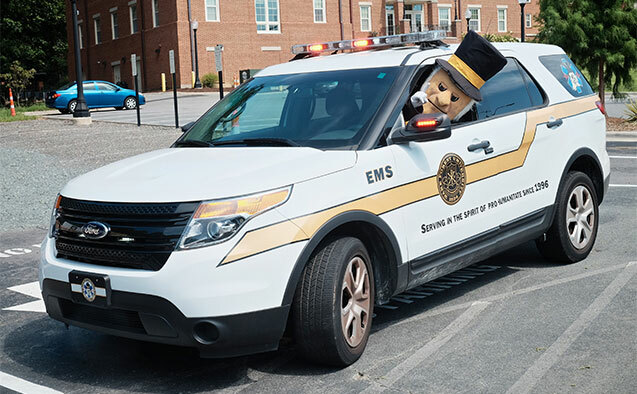 Who: The Wake Forest EMS is a group of WFU students who respond as Emergency Medical Technicians (EMTs) on campus to 911 medical calls 24/7 during the academic year. The WFU EMS will participate in the drill in conjunction the Forsyth County EMS, the Winston-Salem Fire Department, WFU Student Health Services, and the WFU Police Department.